Elmo’s Diner has been a local Durham favorite for more than twenty years, with the vast majority of our business being repeat customers. You are our friends and our neighbors, and we want you to feel good about eating at Elmo’s. We pride ourselves on giving friendly, efficient service and on serving fresh, delicious food – like you would make at home if you had the time! We don’t use mixes or “instant” meals. Desserts and soups are made from scratch too–some folks even call on a regular basis to find out if their favorite cobbler is the special that day! Like a true family diner, we have comfy booths, but also tables and lots of boosters and high chairs for your little ones. We have raised a lot of our young regular customers (and even some employees) from scratch too! When your family comes to town, we want you to be excited to bring them to YOUR local diner. You don’t have to be “a regular” to eat at Elmo’s, but we will try hard to make you one! A large bed of greens mounded with our homemade pasta salad and topped with a sliced grilled chicken breast. Garnished with tomatoes, cucumbers, Kalamata olives, pepperoncini peppers, and sliced cantaloupe. Brunch Specials Served Saturday and Sunday this week! Scrambled eggs, SOY SAUSAGE, and sautèed onions wrapped in a flour tortilla and topped with our own red sauce and melted cheese, then garnished with sour cream, scallions, and tomatoes. Sorry, but No Reservations or Call Aheads! However, you are welcome to give us a “heads up” that you are bringing a large party (like 8 or more). This is not a reservation or call-ahead seating, but does sometimes help us to strategize seating and more effectively serve you. If you have a super-large group, it is best to ask to speak with a manager. We sell Elmo’s gift certificates valid in Elmo’s Diner-Durham in any amount. For local customers, we ask that you come in to buy a certificate. For out-of-town purchases, we can help you purchase one with Visa or MC over the phone. Just call (919) 416-3823, preferably not during a main meal period, and ask to speak with a Manager. You Gotta Admire Our Consistency! 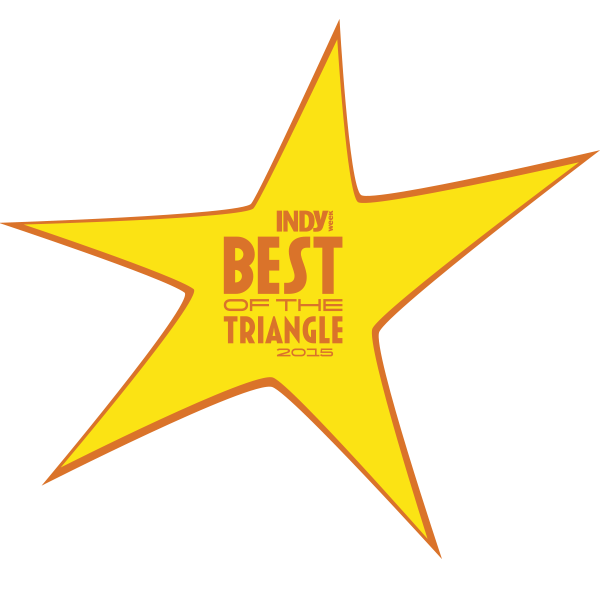 We’re a community restaurant both in the sense that we are a local favorite and in the sense that we strive to be good neighbors and give back to our community. With this in mind, on the First Tuesday of each month we do a fundraiser for a Durham Public School PTA. On each First Tuesday, ten percent of our sales from that day goes to a specific goal of a selected PTA. We feel this is a great way to help a broad cross-section of the community that supports us. All customers are encouraged to come out on these Tuesdays and help support our schools. Please see our list of upcoming dates. If you are volunteering for a local DPS PTA and are interested in applying for a First Tuesday date, please know that applications usually go out in April for the following school year. You can use the CONTACT link on this website to let us know of your interest. Please also note that due to intense interest our 10% fundraisers are limited to Durham Public schools. Elmo’s Diner-Durham opened in the spring of 1997, in the Ninth Street shopping district of Old West Durham. Large windows, wooden floors, high ceilings and old red brick grace the Durham location, and give a warm and casual feel. The restaurant also is located in an old building with lots of history, having been a former taxi cab garage, beauty college and bakery at various times. The Ninth Street shopping district is known for its diverse and unique locally owned businesses. 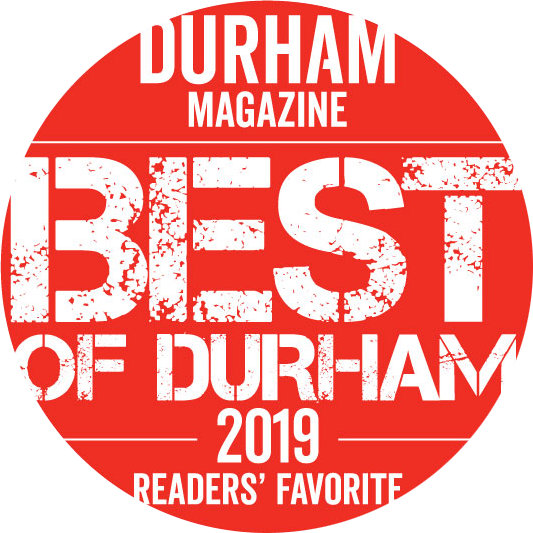 It’s also conveniently located near many wonderful Durham sites, including Duke University, with its beautiful chapel, the excellent Nasher Museum of Art, and the Sarah B. Duke gardens; the Museum of Life and Science (a great trip for kids! ); and downtown Durham, where you’ll find the Durham Bulls Athletic Park and the new Durham Performing Arts Center. Every July, Durham hosts the American Dance Festival which provides yet another wonderful venue to visit either before or after a trip to Elmo’s Diner-Durham! Please contact us with your questions, comments, compliments or concerns. If you wish to place a to-go order, please call us at (919) 416-3823. We do not take to-go orders online.